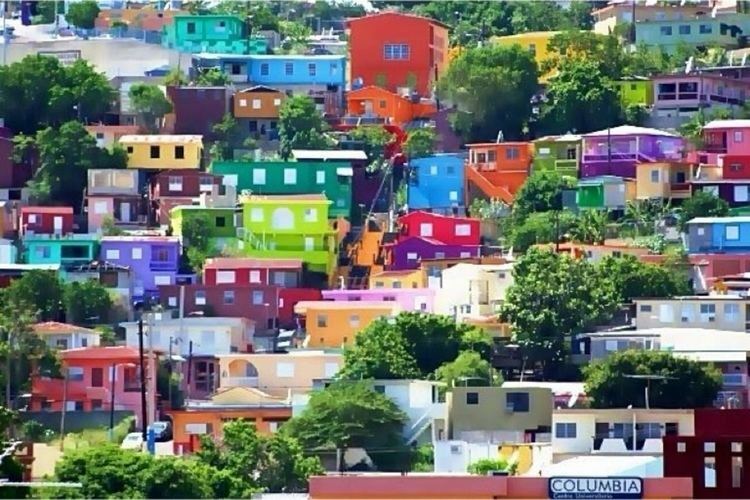 Yauco ([ˈʝauko]) is a city (ciudad) and municipality in southwestern Puerto Rico, centered on the city of the same name. Although the city is inland, the municipality stretches to a southern coast facing the Caribbean. Yauco is south of Maricao, Lares and Adjuntas; east of Sabana Grande and Guánica; and west of Guayanilla. The municipality has 20 wards and the main city Yauco zona urbana (Yauco Urban Zone). It is both a principal city of the Yauco Metropolitan Statistical Area and the Ponce-Yauco-Coamo Combined Statistical Area. According to the United States Census Bureau the population of Yauco in the year 2000 was 46,384 persons, decreasing to 42,043 persons in 2010, a net loss of 4,341 people or 9.36% of its population. Its land area is 176.5 square kilometers with a population density of 238.2. The urban zone accounted for 17,186 of its inhabitants in the 2010 census. Founded by Fernando Pacheco on February 29, 1756, Yauco was a center for Corsican immigration to Puerto Rico in the 19th century due to its geographical similarity to their homeland. Corsicans have contributed to many areas of life in Yauco, particularly its coffee-producing agriculture. This has contributed to its nicknames of El Pueblo del Café (City of Coffee), and Los Corsos (The Corsicans). It is also known as La Capital Taína (Taíno Capital) after the native peoples of Puerto Rico. The city of Yauco was named after the river Yauco which was originally known as coayuco by the Taínos, meaning "yucca plantation". 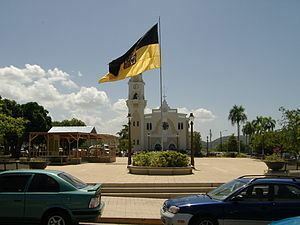 The area of Yauco was considered as the capital of "Boriken" (Taíno name of Puerto Rico) and was governed by Agüeybana, the most powerful Taíno "cacique" (chief) in the island. All the other Caciques were subject to and had to obey Agüeybaná, even though they governed their own tribes. Upon Agüeybaná's death in 1510, his nephew, Güeybaná (also known as Agüeybaná II), became the most powerful Cacique in the island. Agüeybaná II had his doubts about the "godly" status of the Spaniards. He came up with a plan to test these doubts; he and Urayoán (cacique of Añasco) sent some of their tribe members to lure a Spaniard by the name of Diego Salcedo into a river and drown him. They watched over Salcedo's body to make sure that he would not resuscitate. Salcedo's death was enough to convince him and the rest of the Taíno people that the Spaniards were not gods. This in turn led to the failed Taíno rebellion of 1511. In 1755, the Spanish settlers of the region built a small chapel and named it "Nuestra Señora del Santísimo Rosario" (Our Lady of the Holy Rosary). The settlers sent Fernando Pacheco as their representative to the Spanish Government, to request the establishment of a municipality, since one of the requisites to such a request, the establishment of a place of worship, had been met. On February 29, 1756, the King of Spain granted the settlers their request and the town of Yauco was established. Fernando Pacheco was named First Lieutenant of War of the new town. The island of Puerto Rico is very similar in geography to the island of Corsica and therefore appealed to the many Corsicans who wanted to start a "new" life. Under the Spanish Royal Decree of Graces, the Corsicans and other immigrants were granted land and initially given a "Letter of Domicile" after swearing loyalty to the Spanish Crown and allegiance to the Catholic Church. After five years they could request a "Letter of Naturalization" that would make them Spanish subjects. Hundreds of Corsicans and their families immigrated to Puerto Rico from as early as 1830, and their numbers peaked in the 1850s. 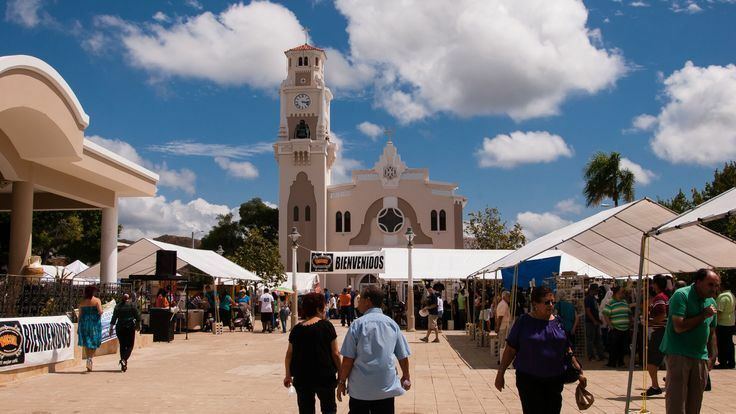 The first Spanish settlers settled and owned the land in the coastal areas, the Corsicans tended to settle the mountainous southwestern region of the island, primary in the towns of Adjuntas, Lares, Utuado, Ponce, Coamo, Yauco, Guayanilla and Guánica. However, it was Yauco whose rich agricultural area attracted the majority of the Corsican settlers. The three main crops in Yauco were coffee, sugar cane and tobacco. The new settlers dedicated themselves to the cultivation of these crops and within a short period of time some were even able to own and operate their own grocery stores. However, it was with the cultivation of the coffee bean that they would make their fortunes. Cultivation of coffee in Yauco originally began in the Rancheras and Diego Hernández sectors and later extended to the Aguas Blancas, Frailes and Rubias sectors. The Mariani family created a machine out of a cotton gin in the 1860s, which was used in the dehusking of coffee. This represented a significant improvement in Puerto Rico's coffee appearance and an opportunity to stand out in the international coffee market. By the 1860s the Corsican settlers were the leaders of the coffee industry in Puerto Rico and seven out of ten coffee plantations were owned by Corsicans. The second and last major revolt against Spanish colonial rule in Puerto Rico, by Puerto Rico's pro-independence movement, known as the Intentona de Yauco a.k.a. the "Attempted Coup of Yauco", was staged in Yauco. The revolt, which occurred on March 26, 1897, was organized by Antonio Mattei Lluberas, Mateo Mercado and Fidel Vélez and was backed up by leaders of "El Grito de Lares", the first major independence attempt, who were in exile in New York City as members of the Puerto Rican Revolutionary Committee. It was during this uprising that Fidel Vélez unfurled the current flag of Puerto Rico on Puerto Rican soil for the first time. Rumors of the planned event spread to the local Spanish authorities who acted swiftly and put an end to what would be the last major uprising in the island to Spanish colonial rule. 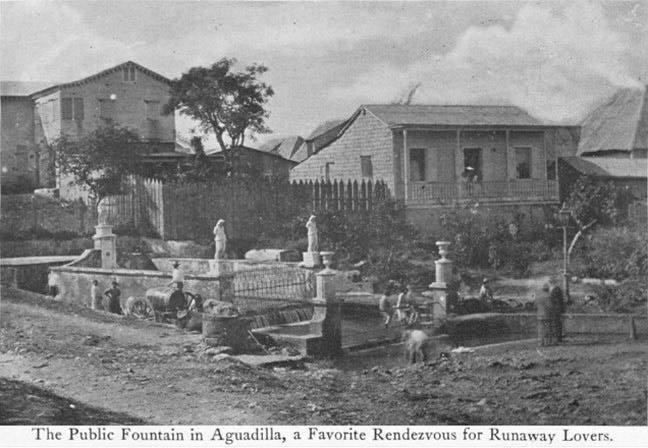 In 1898, upon the outbreak of the Spanish–American War, Guánica was a small barrio within the jurisdiction of the town of Yauco. It had 60 houses in all and its only defense was eleven members of the 4th Volante de Yauco, a Puerto Rican militia unit, under the command of Lieutenant Enrique Méndez López. When the convoy with General Nelson Miles, approached the "barrio", Guánica lighthouse keeper Robustiano Rivera immediately gave the alert to the residents of the barrio. All of the residents, with the exception Agustín Barrenechea, Vicente Ferrer, Juan María Morciglio, Simón Mejil, Salvador Muñoz, Cornelio Serrano and Pascual Elena who welcomed the invaders, abandoned their homes and joined Rivera on his journey to Yauco where he broke the news of the invading forces to the city's mayor. The first skirmish between Spanish/Puerto Rican and American armed forces was fought in that barrio between the Puerto Rican militia and twenty-eight sailors and Marines, under the command of Lieutenants H. P. Huse and Wood, departed from the SS Gloucester on rafts and landed on the beach, occurred when Lt. Méndez López and his men attacked and opened fire on the Americans. During the small battle which followed, the Americans returned fire with their machine gun and the Gloucester began to bombard the Spanish position. Lt. Méndez López and three of his men were wounded and the militia unit was forced to retreat to the town of Yauco. Yauco was also the place where the first major land battle between Spanish/Puerto Rican and American armed forces was fought in Puerto Rico during the war. On July 26, 1898, Spanish forces and Puerto Rican volunteers, led by Captain Salvador Meca and Lieutenant Colonel Francisco Puig fought against the American forces led by Brigadier General George A. Garretson. The Spanish forces engaged the 6th Massachusetts in a firefight at the Hacienda Desideria, owned by Antonio Mariani, in what became known as the Battle of Yauco of the Puerto Rico Campaign. Puig and his forces suffered 2 officers and 3 soldiers wounded and 2 soldiers dead. The Spanish forces were ordered to retreat. The city of Yauco is bisected by the Río Yauco. Other rivers in the municipality are the Río Chiquito, Duey Loco and Río Naranjo. 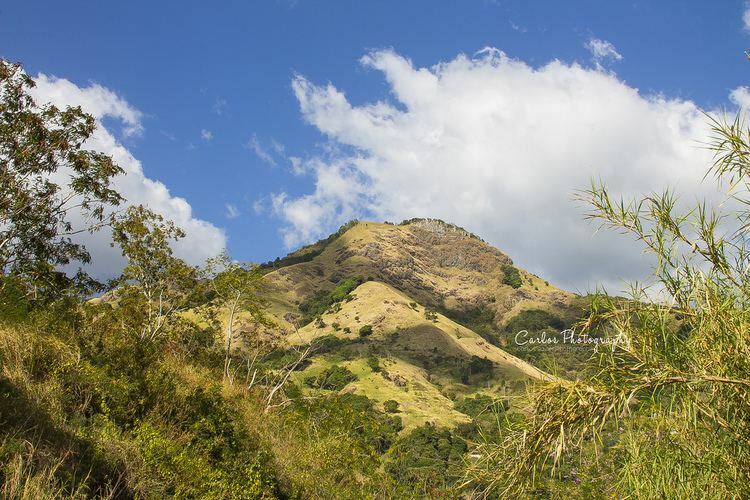 Hills in the area include Mount Membrillo, the Rodadero Peak and the Curet Hill. Yauco's main crops are coffee, plantains, oranges and tobacco. Yauco coffees are a revived specialty origin that, at best, display the qualities that made Jamaica Blue Mountain famous: A deep, vibrant, yet restrained acidity and balanced, gently rich flavor. However, this potentially finest of Caribbean coffees is often marred by inconsistency. Yauco also produces textiles and other light manufactured materials. Abel Nazario Quiñones of the New Progressive Party has held the office of Mayor of Yauco since 2000. He succeeded Pedro Jaime Torres by winning the 2000 general election and won retained his seat in both 2004 and 2008. Nazario took a 50% paycut which was reversed in 2005, yet his current annual wage of $36,000 is the lowest for any of the 78 Puerto Rican mayors, despite Yauco not being the least-populated municipality or the one with the lowest budget. The flag of Yauco consists of two horizontal stripes of equal width, black the superior and gold the inferior one. The municipal Coat of Arms is in the center. The Coat of Arms of Yauco is quartered by a central cross representing Christendom. In a silver field a gold and black boiler, with seven necks and heads of black serpents in each handle, three to the right hand, confronted with four to the left-hand side. Bordered by a checkered band in gold and black. The second and third quarters, in a field of gold, two coffee plant flowers of five leaves of silver and four red. The coffee plant flower and the coffee grains represent their cultivation in the Yauco municipality. The border of the Arms represents the beads of the rosary. The three tower crown represents its city status. The following is a list of people born in Yauco. Francisco Rojas Tollinchi (1911–1965) – poet and journalist. José Semidei Rodríguez (1868–1958) – soldier in the Cuban Liberation Army in the Cuban War of Independence, later Cuban diplomat.